Dr. Martin Luther King, Jr.'s account of the first successful large-scale application of nonviolent resistance in America is comprehensive, revelatory, and intimate. King described his book as 'the chronicle of 50,000 Negroes who took to heart the principles of nonviolence, who learned to fight for their rights with the weapon of love, and who, in the process, acquired a new estimate of their own human worth.' 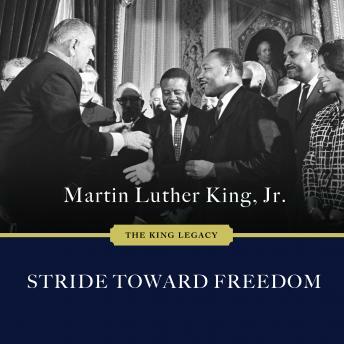 Stride Toward Freedom traces the phenomenal journey of a community and shows how the twenty-six-year-old King, with his conviction for equality and nonviolence, helped transform the nation and the world.